The “Decath” as we know her is a 2004 model, built in Rochester Wisconsin, just down the road from the Harley Davidson factory, the “Harley” being another classic to which she is often compared. With her striking starburst paint scheme the aeroplane exudes speed and performance. She has actually had 2 long sea voyages in her short life, as she travelled from the USA to England where she was the company demonstrator (registered G-YZMO) for Blue Yonder Aviation then based at North Weald in Essex. 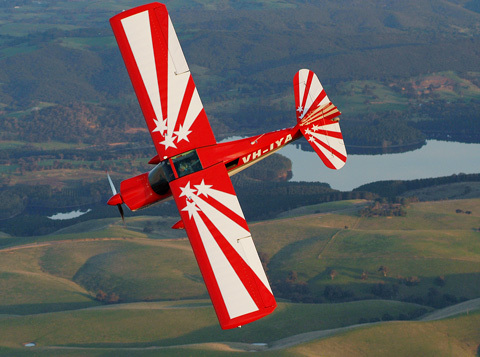 We at Adelaide Biplanes purchased her in November 2004 and began the process of shipping her to Australia. She now has a total time in service of just over 900 hours. 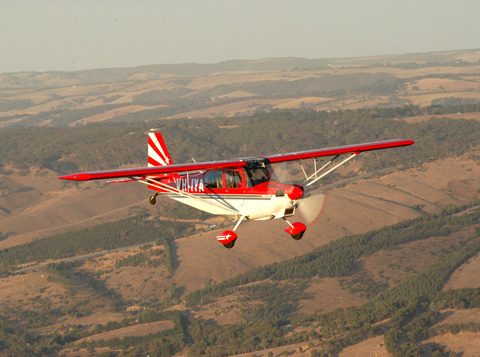 The Decathlon is a high performance aerobatic machine, with 180 hp fuel injected engine, MT composite constant speed propellor, and G limits of plus 6 and minus 5. Full inverted fuel and oil systems make this classic design a very capable aeroplane. 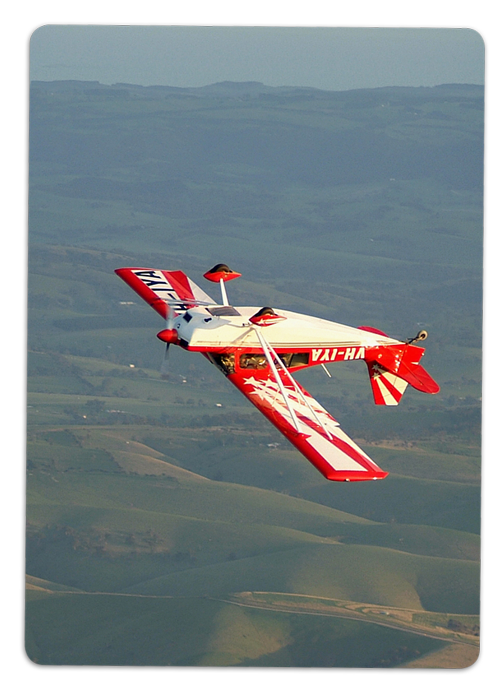 However, she is very docile and easy to handle, as well as aerobatic flights we also use the aeroplane within the Flying School for tailwheel, constant speed propellor endorsement and stall/spin awareness training. Also available to selected pilots for Commercial Pilot training.